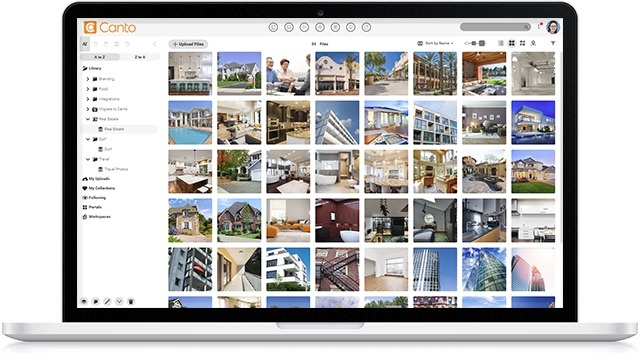 Canto, a leading provider of Digital Asset Management (DAM) software, today announced the European launch of its Canto software-as-a-service (SaaS) solution. Following a successful debut in the Americas, with more than 400 SaaS customers to date, the company has expanded its sales and marketing operations in Berlin and Frankfurt to accelerate the adoption of Canto throughout Europe. Early signs of European market interest for the SaaS solution are very positive, with new clients already signing up, including CEVA Santé Animale based in Libourne France. In the Americas, leading brands using Canto for cloud-based DAM include Godiva Chocolatier, Seattle Aquarium, Mitsubishi Electric Cooling & Heating, United Airlines and POPSUGAR. The Canto SaaS solution is designed to allow marketers to increase business efficiency, agility and profitability through better management of digital assets. It supports dispersed teams as well as their partner organizations and ensures protection against copyright infringement through built-in Digital Rights Management capabilities. Canto’s SaaS solution enables simple activation and immediate use across countries and departments – without a complex implementation process. It is also easily integrated with marketing tools and messaging services such as InDesign, Mailchimp, Slack and WordPress. In addition, Canto offers features such as metadata maintenance, automated tagging, and the ability to securely share assets with external partners and service providers. Built-in artificial intelligence makes it possible to use keywords to retrieve content quickly and automatically. For European customers, Canto offers a Dublin, Ireland Amazon S3 data storage location as well as an Ireland-based server location for the Canto app to drive faster upload/download speeds for European clients, while also supporting those companies who want to keep their data in close proximity. Individual users may select their preferred UI language including English, German, Spanish, French, Chinese, Japanese and Dutch. U.S.-based customers connect to their library with a company.canto.com URL, while European customers receive a company.canto.global URL. Interested parties can sign up for a free trial. For more information on Canto features and customer use cases, visit canto.com.